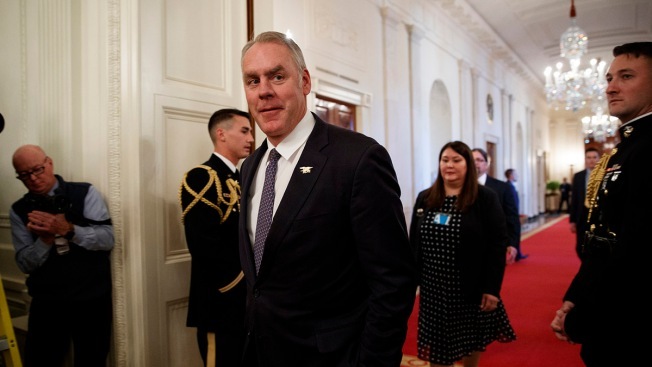 FILE - In this Oct. 24, 2018, file photo, U.S. Secretary of the Interior Ryan Zinke arrives for an event in the East Room of the White House in Washington. U.S. Interior Secretary Ryan Zinke unleashed a scathing personal attack Friday against a congressman who had called on him to resign, accusing the Arizona Democrat of drunkenness and using taxpayer money to cover up inappropriate behavior.